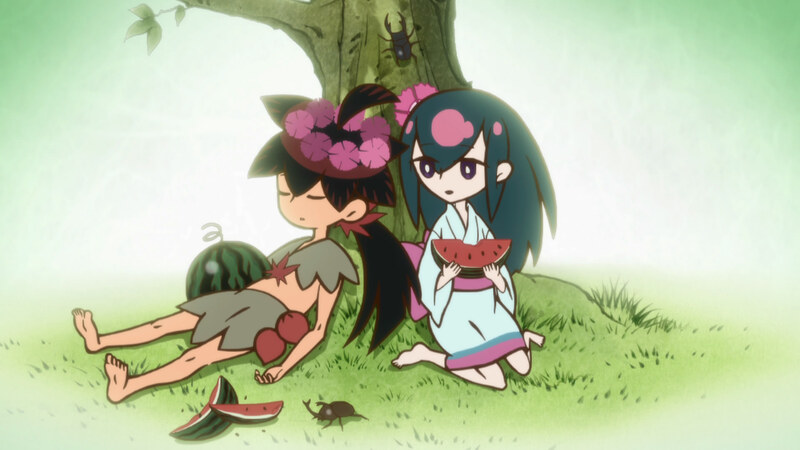 Jrow and I are back to talk about a couple of pretty special episodes of Katanagatari, ones that prove to be turning points of sorts for this series. We’re joined again by Natasha of Shibireru Darou or, Isn’t it Electrifying? whom you might remember came on to discuss episodes 3 and 4 with us about a month back. We have a 2nd special guest this time, Patches who writes for the team blog The Untold Story of Altair & Vega, as well as runs the Tumblr What about the Waifuz, “an anime-feminist blog.” You can also find him on Thursdays at 9:30pm Eastern on Skype running his Anifem SCCSAV anime viewings. Featuring the death of Nanami and the formal introduction of a couple of major villains(? ), these were a couple of meaty episodes, and as huge lovers of the show we might have gone on a bit too much about them, but I think the conversation we ended up having about the significance of these episodes was well worth it. Hope you enjoy! Thanks as always to Jrow for his fine production work. If you’ve already seen the show or if you are watching it for the first time and are interested in coming on as a guest, please let us know in the comments, or shoot me an email at [email protected]. 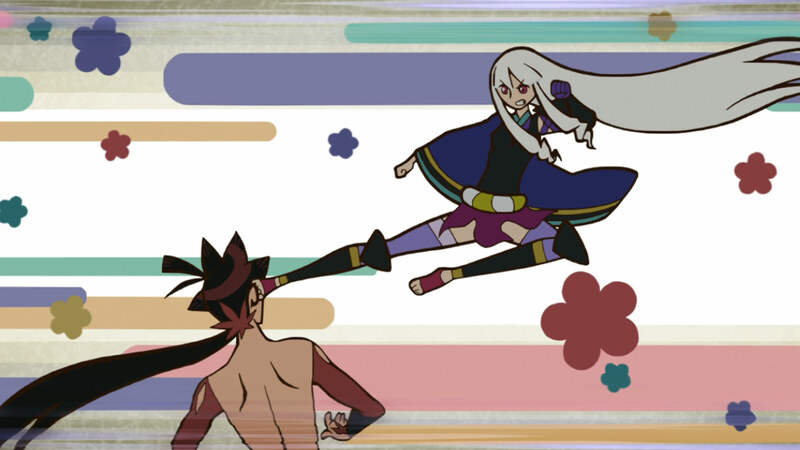 “Grit your teeth, Sim-” wait, I confused it with another Taku Iwasaki composed anime. I just love hearing these new theme songs, especially Pico’s. “In Japanese society during the time period this was set, a woman of Noble birth wouldn’t cut her hair until she married. If it was forcibly cut, it was regarded the same as if she had been raped, and she would be obliged to commit suicide to preserve her families honour. That’s why Shichika got so pissed when her hair was cut by Nanami. When she was married, the Head of her husbands Household, usually the Mother, Aunt or Oldest sister, would cut her hair and burn it in front of a Buddha. Nanami was the head of the Shichika household. The fight took place in front of a Buddha of Swords. They refer to each other as family at the end of the Episode. The Japanese colour for Marriage is Red, y’know, like how the place was on fire. I figured the artstyle in 7 was a reflection of Nanami’s perception. Similar to her looking at people like weeds, I t was like she viewed everyone as just an NPC in a video game where she had godmode enabled.